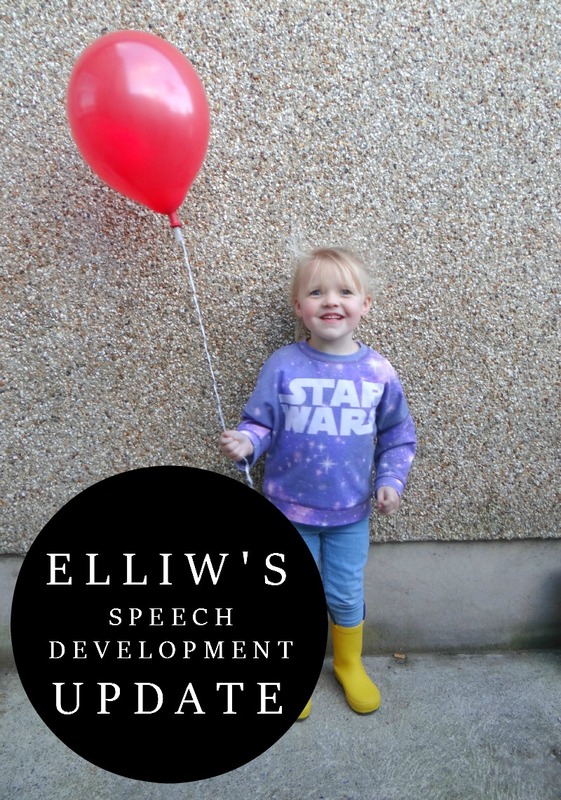 I wrote Elliw's last speech development update a few weeks ago. She has certaintly improved a lot more again the last few weeks. We have had many family members, friends and school teachers tell us that Elliw's speech has improved and they can understand her a lot more. It's amazing how quickly she has come along. We went to our last ever speech therapy last Friday - yep last ever one! - and the speech therapist was amazed on how much Elliw had improved. She told us to just carry on what we are doing to help her at home by describing things and objects, and other things and she will be fine. She said there was no need for Elliw to come and see her again. Which was sad in a way because Elliw loved going there but of course I was over the moon that my daughter has improved so much. Elliw currently goes to a speech school in the afternoon three times a week and she will be getting reviewed Christmas time and more than likely she won't need to go after Christmas. Which means she will be in her local school every single morning instead of two mornings a week. So back to 3 school runs a day for me - how fun. Elliw will be very confused to start with but I think she will get used to it and it will be nice for her to make more friends at school and catch up with work that the kids in her class are doing. I am so proud of my little girl and how much she has improved with her speech and language. It really is amazing how much of a difference a few months can make. I love having little conversations with her now and it's less stressful as we are able to understand her a lot more.